Don R. Miller, age 82, of Green Bay, passed away on Tuesday, August 7, 2018. He was born on July 16, 1936, in Green Bay, to the late Robert Miller & Audrey Beecher. Don graduated from Green Bay East High School in 1954. He married Joan Sustman on June 1, 1957, at Annunciation Catholic Church in Green Bay. Together they shared 61 years of wedded bliss. In their retirement, Don and Joan lived in Estero, Florida. Don was employed at Northern Paper Mill for 14 years. He later worked for the City of Green Bay for 10 years in maintenance and Brown County until his retirement. He also ran Baird Creek Recreation Area for over 30 years. Don tended bar part time for Gerczak Liquor and Biebel Catering. He was a member of IMI, National Ski Patrol, the Moose Lodge, Windjammer Sailing Club. 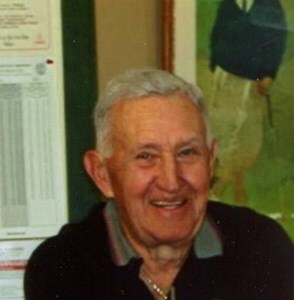 He enjoyed golfing, sailing, skiing, playing softball in many local leagues. Survivors include his wife of 61 years, Joan; children, Michael (Lisa) Miller, Kari (Squirrel) Semrau, Thomas "TJ" (significant other, Denise) Miller and Susan Rogers; grandchildren, Andrew (Mary), Eric (Eden) and Justin; step-grandchildren, Benjamin (Renee), Zachary, Sarah (Jake), Alysan (Benjamin) and Marissa; five great-grandchildren; sister, Joanne Kemps; half sister, Debbie (Rick) Kinney. He is preceded in death by his grandparents, Matthew & Ruth Miller; parents, Robert (Dolores) Miller and Audrey Beecher; and brother-in-law, Jim Kemps. Visitation will be held from 9:00 am until 11:00 am on Friday, August 10, 2018, at St. Agnes Catholic Church, 1484 9th Street, Green Bay. A Mass of Christian Burial will be celebrated at 11:00 am on Friday with Rev. Patrick Beno officiating. The family would like to thank Eric Dellamater and the Cancer Team at Green Bay Oncology. In lieu of flowers, memorial contributions may be made to the Greater Wisconsin Alzheimer's Association. Add your memories to the guest book of Don Miller. Don will certainly be missed by family and friends. He was a great neighbor for many years and was always willing to lend a hand and share advice when it came to pool questions :) It was our pleasure to know him as well as Joan and the kids. RIP Don.